According to a report on WTOP, the City of College Park has agreed to move a speed camera which motorists have complained is located immediately within a "transition zone". 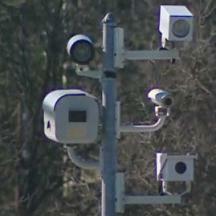 The camera, currently located at 3300 Metzerott became the subject of a WTOP Ticketbuster investigation after complaints that it was located so close to the end of a 30mph speed limit zone that motorists were facing a 40mph sign, a sign which would even appear within some of the speeding citation. "Recently the city was notified that some drivers may be confused about the speed limit on Metzerott Road at the location of the westbound speed camera. This is the first time in three years of operation of this camera that the city has been made aware of this concern." wrote City Manager Joseph Nagro in a statement to WTOP News, "While the placement of the camera is legal, the city wishes to avoid any possible confusion about the speed limit in this area. As a result of an evaluation of alternative sites, the city intends to move the westbound camera to a location farther east, as determined by the traffic engineers"
The decision to move the camera is a significant change of tone from the city. The camera location had been previously criticized by our website, due to inconsistencies between the current signage and the signage shown on city's permit application, which we had obtained in early 2011 after receiving complaints from motorists (the city's position is that there was no change to speed limits in this location). The Diamondback reported in 2010 how the city council had received complaints about the location being a "speed trap", which had issued over 8,600 citations in less than its first month of operation. AAA held a press conference at the location in 2011 complaining that it did not meet standards for camera placement. WTOP investigated the location this year, and officials from some other jurisdictions agreed that the location of this camera would not have been considered appropriate under their rules. College Park has stated they still consider the original camera placement to have been legal and it is not anticipated that refunds will be made for citations issued at the location.